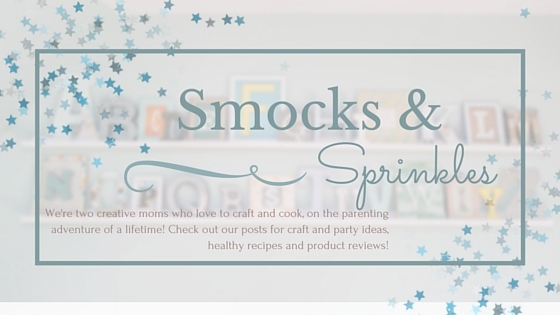 So you know how you're always looking for interesting birthday party ideas, going on Facebook mommy threads to find out what everyone did for their birthdays and scouring Pinterest for themes? Indoor play area birthdays are all the rage, but we recently attended a Build-A-Bear party and wanted to share about it, in case you wanted a different idea! We got the invitation to our Build-A-Bear party via Evite, but you can also print paper ones. 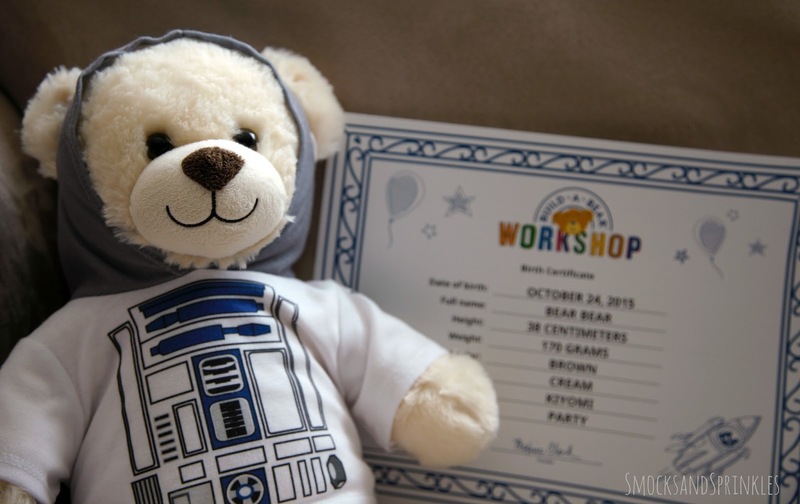 Build-A-Bear provides different images for your invitations in case you want to use them. When we arrived at the party, each child got a name tag, and I think they were also supposed to get a crown, but they didn't hand them out this time. The brochure said that the bears are supposed to get a party hat, too? We didn't miss them, though, because I'm sure Kiyomi would have taken hers off 2 minutes after receiving it, anyway. Our party leader introduced herself and had all the guests line up to choose their animal, out of a choice of 3 (brown bear, white bear, dog). 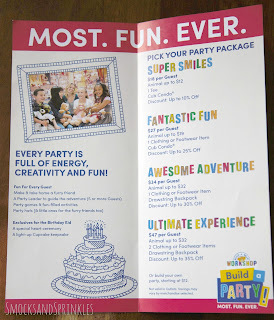 We asked about paying extra to upgrade to a different animal but were told we couldn't, since we were part of a party package. I think this was a good thing, because you better believe we had our eye on the Darth Vader Bear, and I didn't realize until later that he costs almost $40!! 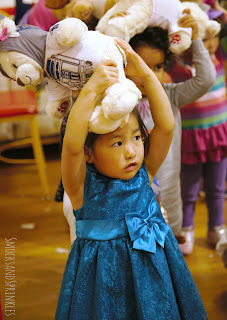 After that, I was gunning for the dog, but Kiyomi chose the white bear. Womp womp womp. But okay, this is her bear. Not mine? We did a fun march over to the stuffing area, where we played "I Spy" for a bit while the leader stuffed the bears one by one. I think the best part for the kids was stepping on the pedal to get the machine to blow the stuffing into the bear. I was impressed at how patient all the kids were while they waited for their turns, except for my girl who scooted her way to the front, haha. After that, we lined up again for hearts. This is obviously the most important part, because it brings your bear to life. 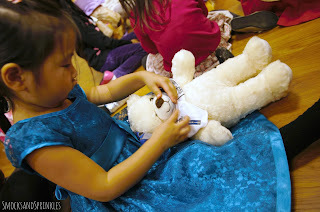 Fortunately, they weren't too busy in the store, so another staff member helped sew up the bears. They were fast, so each bear took only a few minutes to stuff with a heart. Kiyomi still talks about how she gave her bear a heart. Awwww. Then it was shower time! Again, a little bit of waiting, but 2-3 kids could "wash" their bears at a time, so it was faster than before. They took a little brush and combed the bear fur. Very cute. Then it was time to choose outfits. I was impressed that they had around 5-10 different t-shirt choices, including Captain America, R2-D2, and some pretty fancy dress-up outfits! A little more waiting while everyone chose, but more entertaining this time because we got to check out the outfits. I think to ease the pain of not getting Darth Vader Bear, Kiyomi chose the R2-D2 t-shirt. Her father was so proud. Each bear also got 2 hair ribbons or a bowtie. We marched over to another area for the Build-A-Bear ceremony, which involves the Build-A-Bear pledge about being #1 pals with your bear forever (i.e. until your bear gets too dirty, falls apart, or every parent's nightmare - gets lost! ), and each bear got a birth certificate and bear condo (the official name for those cardboard boxes they put the bears in). I was super-impressed that they kept track of all the bears' and kids' names so they could put them on the birth certificates! Look at the detail on this shirt! So glad she chose it! Our party leader was really great about remembering names, because she called the kids by name, even after they lost their nametags (of course). I wish she had played more games with the kids to keep them entertained though, because we only did 2 rounds of "I Spy". Most of the kids were old enough to wait patiently through all the steps, but I imagine this type of party would be rough for more active children. Lots of waiting, but the kids were all really patient! After our party, we moved to the mall food court where we had bagged lunches (in cute paper lunch bags decorated with stamps and colored by the birthday girl) and cupcakes. 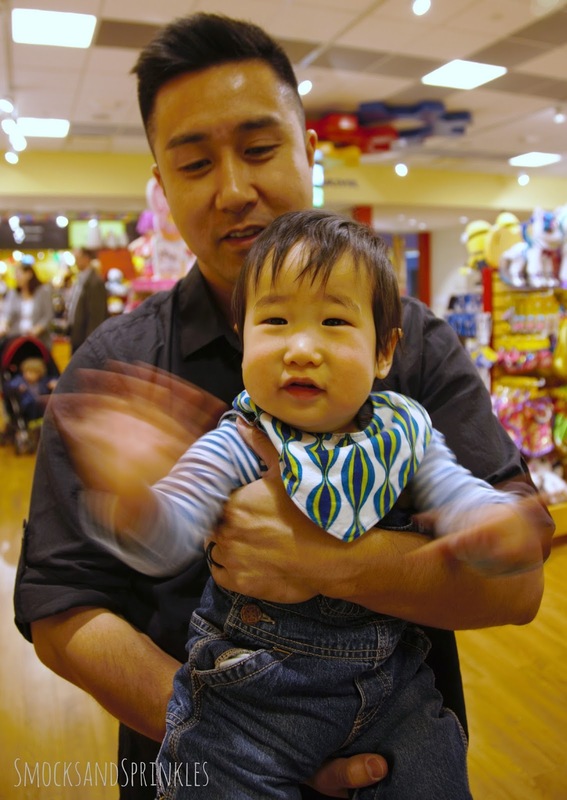 Kiyomi loved the experience and was a goofball in the food court. Still content, 1.5 hours later! 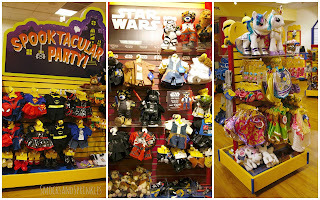 Build-A-Bear has different packages at various price points, depending on the number of accessories you want to include for each bear, but I think it's pretty reasonable, especially because the location, activity, and "loot bag" are all included. I also think eating in the food course is an amazing idea, because it takes the pressure off of needing to have an elaborate food spread! :) The best part is that it's really easy in terms of prep and work involved. The party ran around 1.5 hrs, and my one-year-old managed to hang out in the store the entire time. 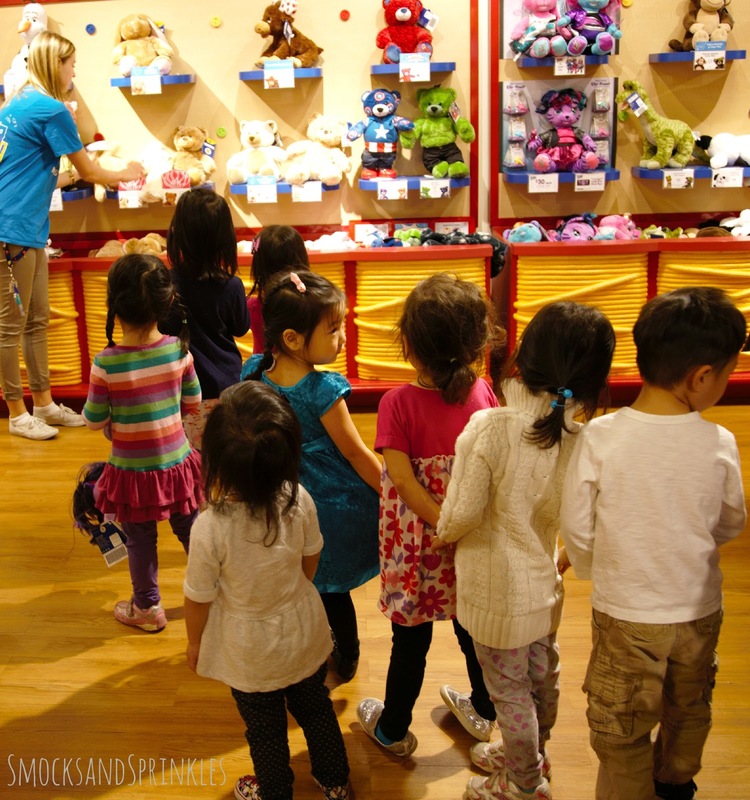 Many Build-A-Bear stores are located in malls, so you can always take the little ones for a walk, or do a little shopping while the kids party. Most of the parents stuck around, but they didn't really need to. 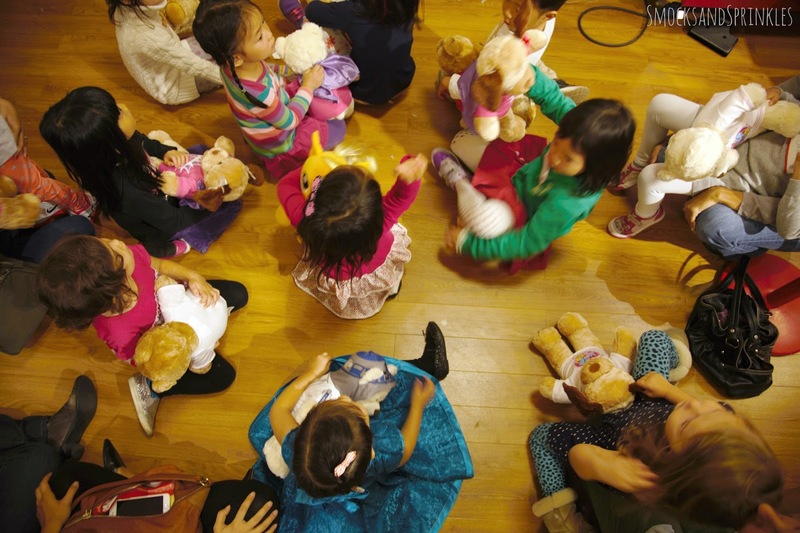 Overall, we enjoyed the party and the kids seemed to love their bears. I wouldn't recommend it for really small children or kids with a short attention span, as there's a lot of waiting and lining up involved. 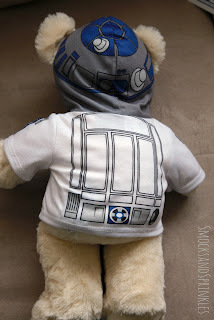 Otherwise, I think kids of all ages (read: husbands who are into Star Wars) would have a great time! Kiyomi really likes her bear, but he didn't make the cut for bedtime lovey. Maybe in time? 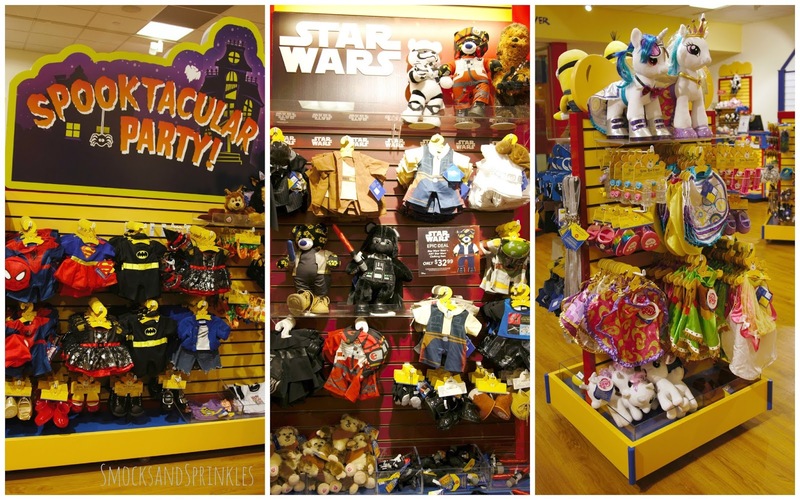 Have you ever been to a Build-A-Bear party? 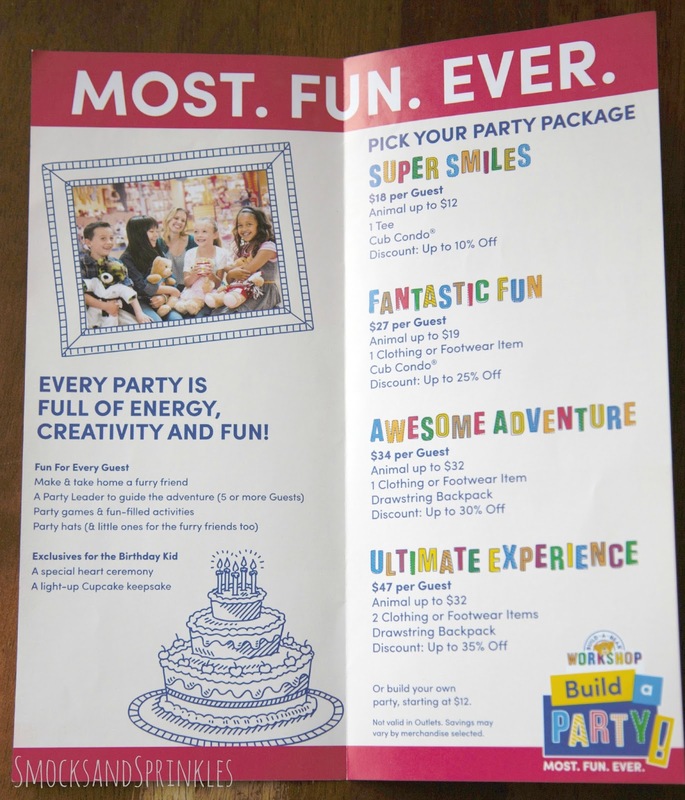 Or have other ideas about great birthday party venues? We probably have at least another 10 years of birthday party planning to do, so we'd love to hear your experiences! 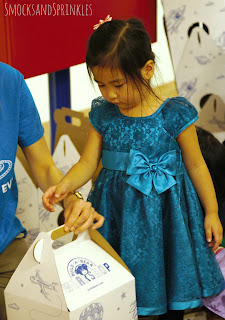 It is wonderful that your daughter had such a wonderful time on party. 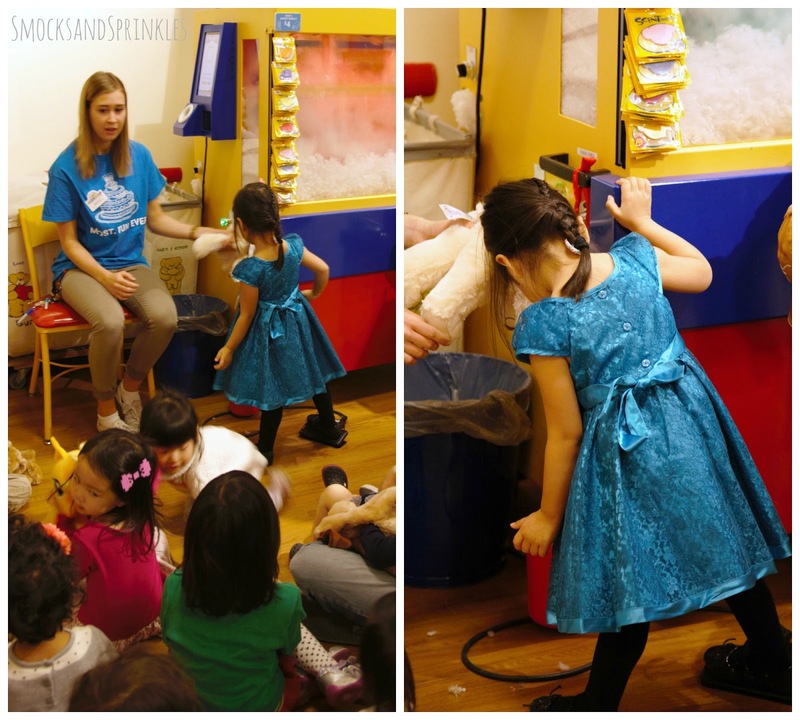 Can you give me ideas how I can organize similar birthday party at Chicago venues for my daughter. My only concern is that this time I don’t want to organize a party at home. Wow, your daughter is lucky! Those venues are nice. We think it might be fun to host your party at the gallery and make it art-inspired...perhaps you can do a few quick craft activities and tour the gallery? If you can do a painting activity, maybe the loot bags can include a paint palette, paintbrushes and a canvas? Hope you have a great time, whatever you end up doing! 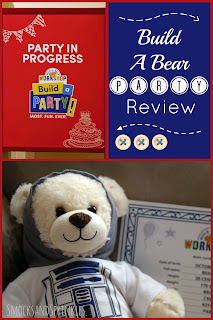 Hey this Build-a-Bear Birthday Party Review was awesome. The kiddos are looking happy in this fun party. Our daughter loves soft toys so I think it will be a nice theme for her birthday celebrations. We would like to host this bash at some outdoor event venue New York.